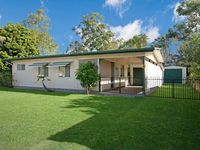 Properties in Queensland average 4.5 out of 5 stars. Property 1: River Retreat, BENARABY, Pet Friendly. Property 6: Seascape One - located in the heart of Palm Beach. Great family location! Property 10: The Transit Lounge near airport and city. Fully self contained villa. Prime golf location. Property 18: Fully self contained villa. Prime golf location. Property 49: Maheno Cottages "Yenningee Bora"
Lovely place we would love to stay there again ! Great place had everything we needed, close to everything. Clean, tidy and very comfortable, would love to stay there again.